That '70s Show Season 2 Episode: 23 - Holy Crap! That '70s Show Season 3 Episode: 11 - Who Wants It More? 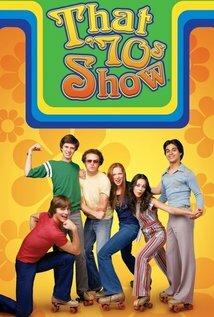 That '70s Show Season 3 Episode: 20 - Holy Craps! That '70s Show Season 6 Episode: 18 - Do You Think It's Alright? That '70s Show Season 7 Episode: 19 - Who's Been Sleeping Here?